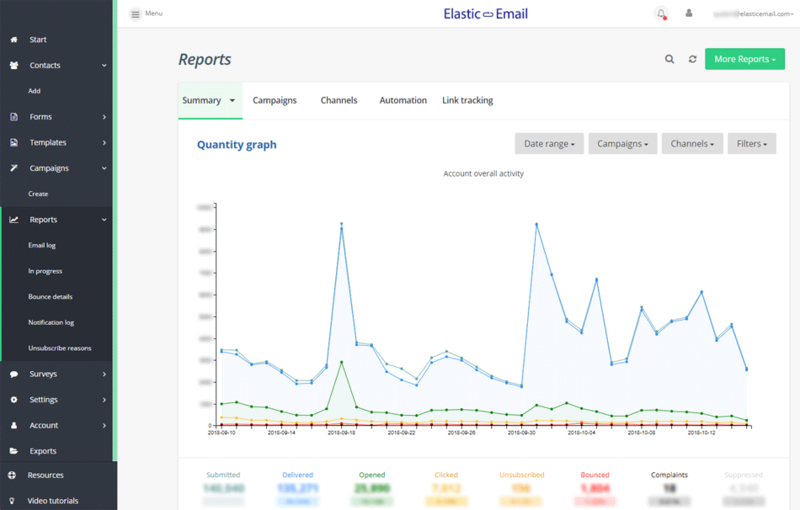 Elastic Email offers a simple full service platform for Email Marketing and transactional emails. Today, tens of thousands of companies around the world use Elastic Email for sending their emails. In 2010, Joshua Perina and Michal Bochnak started working together with the goal of making email more efficient. While many email service providers pay 3rd parties to actually deliver their email, Elastic Email write every line of code for the platform down to the protocol level. 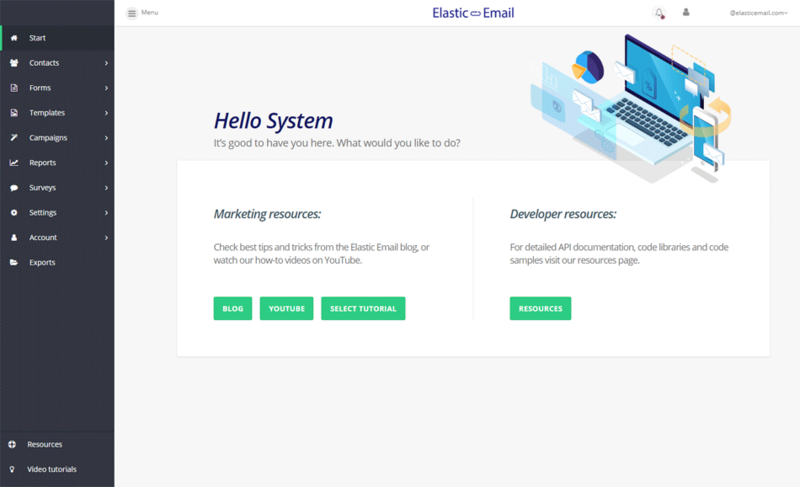 Are you looking for an Elastic Email alternative for your email marketing? 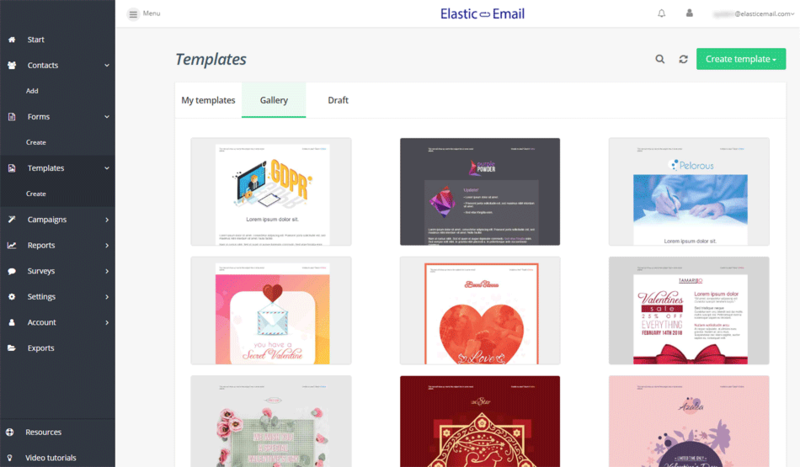 We listed some Elastic Email alternatives. – Integrate email or SMS delivery into your website or application or use our SMTP relay from your own self hosted marketing tools. 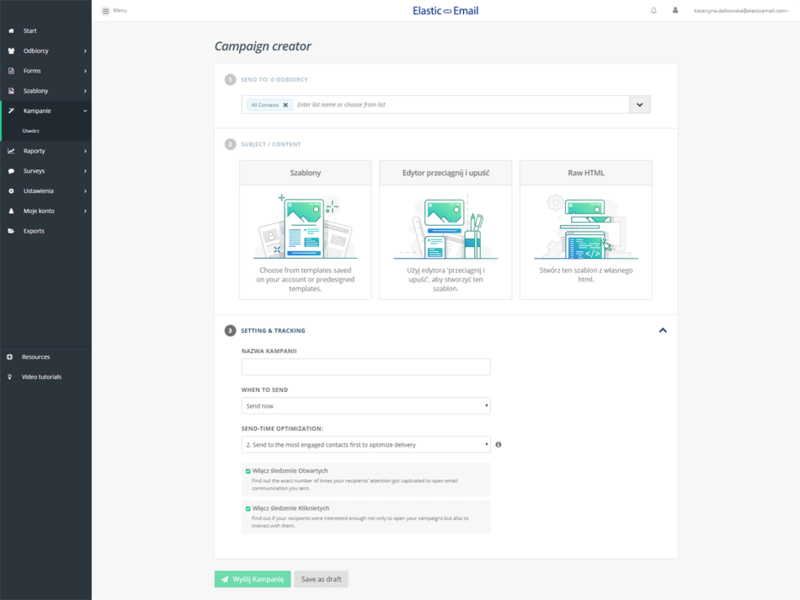 Elastic Email offers a user interface (also known as a dashboard) that gives the user access to a complete email marketing platform. The interface is designed with neutral layout and style. For (email marketing) agencies that manage clients of your own or provide online services then get ready to add email marketing to the list. A whitelable version that uses your own URL and branded interface can be set up quickly.